ICO principal conductor Jörg Widman surges through the First Symphony's outer movements with appropriately zesty alacrity, the contrasted Andante pleasingly taut, its aftershocks gently registering in the Minuet’s shifting centre of gravity. 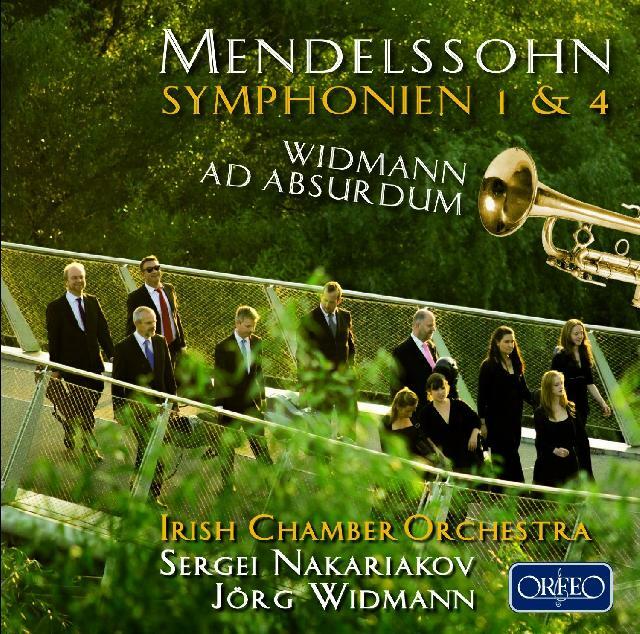 The strings and woodwind of the Irish Chamber Orchestra sound wholly at home in this briskly uneven brace of Mendelssohn symphonies. It’s the earnest imprecations of the C minor First’s youthful working out (Mendelssohn was 15 when he composed it in 1824) that sets both tone and pace. ICO principal conductor Jörg Widman surges through the framing outer movements with appropriately zesty alacrity, the contrasted Andante pleasingly taut, its aftershocks gently registering in the Minuet’s shifting centre of gravity. The Fourth Symphony, an extended picture postcard of Italy, is less conducive to such athleticism. Colours are a touch too splashy in places (not least the hurried opening movement) and details outlined rather than inked in so that the tour seems somewhat whistle-stop and its romantic drama disappointingly dilute. The filler – Widman’s own Ad absurdum for trumpet and chamber orchestra – is a dazzling 15-minute sprint for Sergei Nakariakov marked by a combustible virtuosity that exhausts as much as it exhilarates.